The quality and availability of WordPress e-commerce themes makes WordPress a serious choice as an online shop platform. In fact, WordPress has moved rapidly from being mainly a blogging platform and is now one of the top CMS systems for traditional websites. 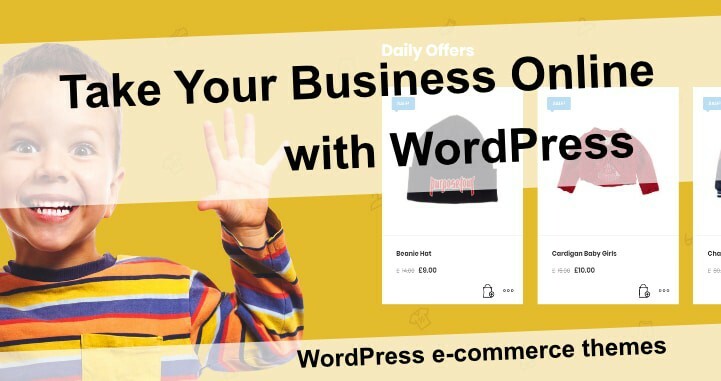 Lately, WordPress has also made a mark in the e-commerce website space and more and more web shops are now powered by WordPress e-commerce themes and plugins. In this article, I have collected most of the really good ecommerce templates for setting up a WordPress shop. Please note that WordPress ecommerce website templates requires shopping cart features to function as a webshop template and while some of the templates have built-in e-commerce modules most rely on popular ecommerce plugins as e.g. 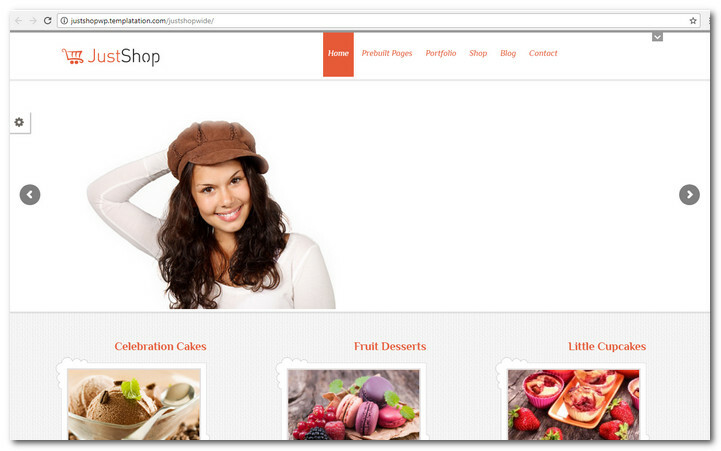 woocommerce themes. Below each theme in the list, I have added information about this. 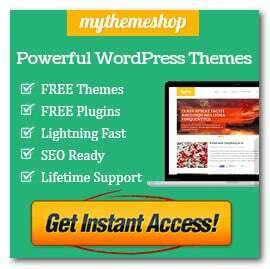 This is helpful if you are looking for a theme that support a specific WordPress e-commerce plugin. Using WordPress themes with a clean and simple design is a great starting point for setting up a blog or website as a supplement to an online shop – this is relevant if you choose a non-WordPress based shopping platform and want to rely on the strong publishing capabilities of WordPress. You see another great way to build an online shop is using the popular e-commerce system - Opencart, or the open source platform - Magento. However while, the e-commerce capabilities are sometimes more advanced and powerful in dedicated platforms they lack in features for publishing regular content, like blog posts, articles etc. compared to WordPress. If you want the possibility to convert mobile leads into buying customers effectively, it is recommended to use a responsive layout. Responsive eCommerce website templates adapt to the screen size the visitor use and make it easy and convenient to look up the needed products. Shopier is a responsive WordPress WooCommerce theme that is great for many purposes. It is extremely customizable with parallax features. 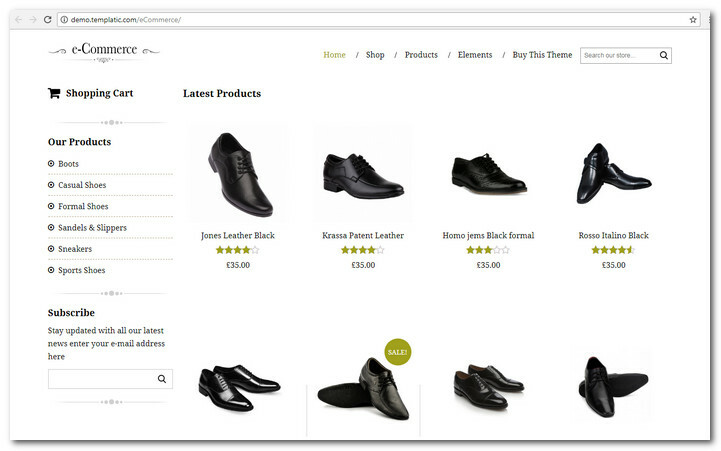 Shopier is a real WooCommerce theme with creative, retina ready and clean design. It has fluid elements and effects as well as strong customization features. The theme package contains a lot of unique homepage demo styles that can be used for fashion, bag, beauty, perfume, jewelry, apparel, restaurant, food, shoes, furniture, electronics, shoes, wine, mega marketplace, vineyard, baby, kids, glasses, bike store, digital, books and other types of websites. The many features of this theme include multi header support, easy homepage importing, mega menu, Revolution Slider, Visual Composer WordPress 4+ compatibility, WooCommerce 2.5 ready, Wishlist, Compare, Quickshop, Testimonials, drag and drop Add to Cart and a lot more. 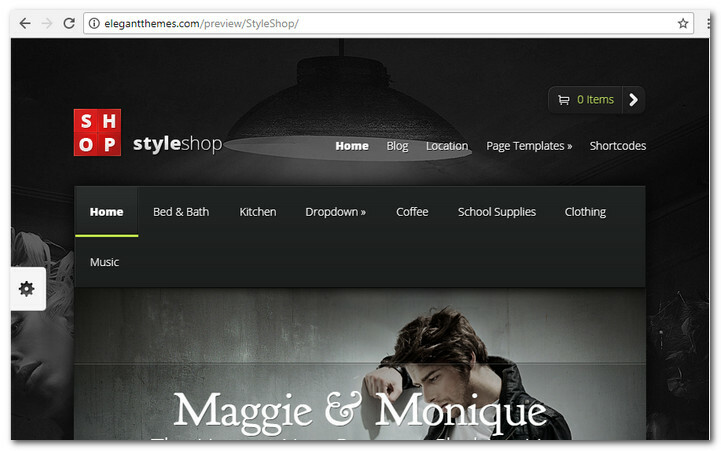 StyleShop is a top modern ecommerce theme for WordPress with support for WooCommerce. The front page design provides a professional and stylish presentation of your products. The theme is responsive and will spoil your mobile visitors. This is a flat, modern and clean website that is ideal for all kinds of online sites, including single product, web agency, portfolio and personal website. Gatsby WordPress and eCommerce theme is created with best industry practices and adheres to the latest trends specifications. The features of Gatsby include multipurpose design, Redux Framework, retina support, responsive layout, cross browser compatibility, SEO optimization, valid HTML code, 78 predefined homepage layouts, robust theme settings panel, unlimited colors, unlimited patterns, unlimited backgrounds, wide and normal content block layouts, 9 predefined header layouts, Slider Revolution, Visual Composer, Easy Tables, single page layout, sample data, single click installation, Wishlist and compare products, sticky header, WPML support coming soon pages, lots of elements, 28 custom Visual Composer elements, custom blog posts, 6 blog post formats and more. This modern and clean WordPress eCommerce theme is fully customizable and created to work best for online shops. Maxus Multipurpose eCommerce WordPress Theme comes with 10 stunning functional homepage demos that work right out of the box. It also includes blog pages to allow your audience to be updated with your latest developments. With the Visual Composer and Revolution Slider plugins, Maxus will allow you to customize your website carefully and build creative pages and layouts. This can be done through demo websites and template pages or from scratch. The theme comes with WooCommerce plugin support, which will allow you to market, manage inventories and accept payments easily. 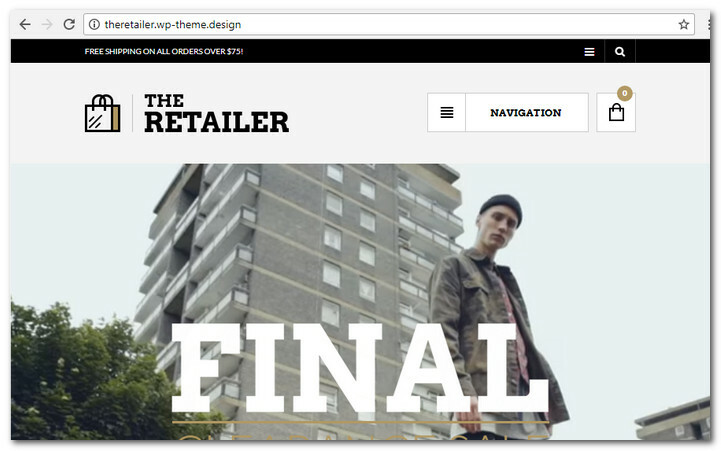 The main features of this theme include robust theme options, product collection, variable product, creative shop layout, plenty of shortcodes, WooCommerce integration, drag and drop page builder, amazing slides, fully responsive layout, advanced typography options, single click installation and translation support. 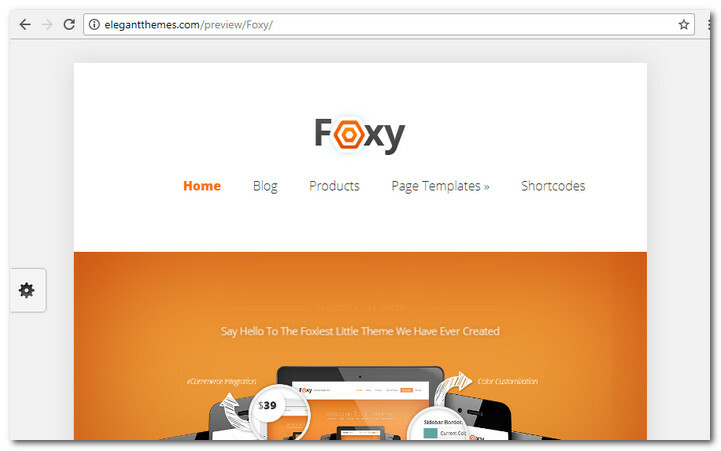 With Foxy you get one of Elegant Themes popular and good looking designs. It is a business and portfolio website template with powerful e-Commerce capabilities built in. The theme support the powerful WooCommerce plugin and will make it simple for you to start selling stuff online from your website. This is the perfect WordPress theme to use if you have a business on the internet. It has a top notch layout, responsive layout and general aesthetic that will surely wow your online visitors. Moon Shop is ideal for many kinds of eCommerce shop online websites like shoes, clothing, watch, jewelry, electronics, gadgets and others. Show product categories easily as well as products with multiple variations. Switching between list and grid views is very easy with this theme. There are different header designs, product layouts and shop layouts that were designed to provide a great eCommerce experience to your visitors. Moon Shop is constantly updated by its dependable Envato Exclusive Author. It is integrated with extended documentation, perfect setup, fully responsive design, perfect user experience, quick and friendly support, high conversion and a lot more. Merchandiser is an eCommerce WordPress Theme for WooCommerce that is both reliable and fast. It comes with all the things that you might need to create a stunning store on the internet. Merchandiser was created with minimalistic thoughts in design, fast when it comes to performance and dependable when it comes to maintenance. 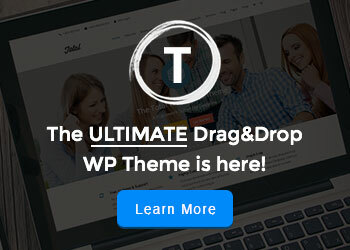 The theme comes with the Visual Composer plugin, which is a premium page builder with drag and drop feature. You can create your web pages by matching and mixing available elements. Merchandiser can be used on multiple sites. However, every license can only be activated on a single WordPress website at a time. Updates and support are available for activated websites. Free updates are available for life. This means that you get updated regularly as long as Merchandiser is still on ThemeForest. ECOSHOP is top notch eCommerce WordPress theme that is created for commercial uses such as cosmetics, clothes, gadgets, furniture, home décor, bags, shoes and others. 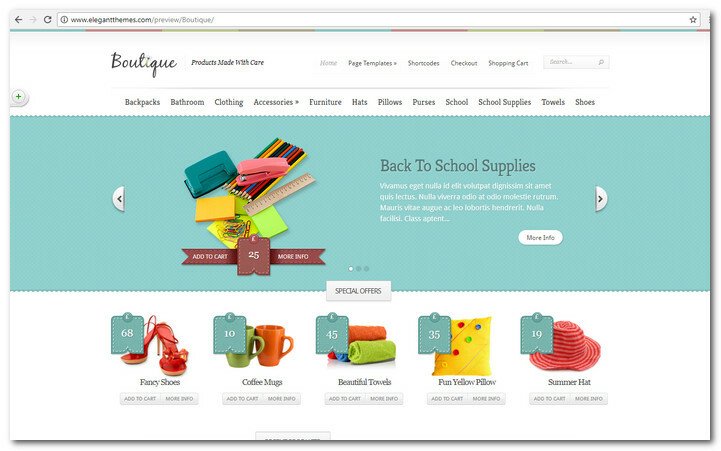 You can use this WordPress theme to create different kinds of online shops. Every layer has been organized well. You can also change elements such as shapes and colors easily. The main features of this theme include powerful theme options, Visual Composer plugin, Revolution Slider, post format support, multiple blog layouts, responsive layout, clean and modern design, retina support, CSS 3 and HTML 5, Font Awesome icons, robust content type options, product quick view, boxed or wide theme layout options, Redux Framework, Owl Carousel Slider, Mega Menu, product, list and grid view, WishList/Compare products, regular updates, WPML compatibility, quick support and a whole lot more. Fashion sites are so popular and more and more sales take place online. 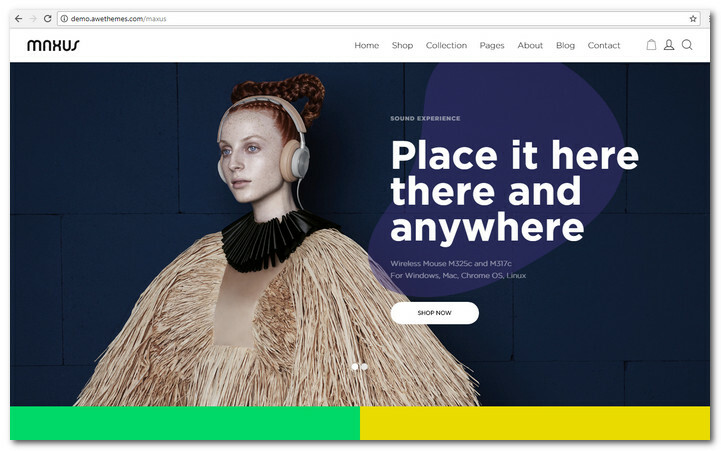 Themes like IDStore help you build an online fashion store and the responsive layout allows you to convert sales on mobile devices effectively as well. IDStore is a true multi-purpose ecommerce theme for WordPress that can be used for nearly any type of online commerce strategy. This is great as having the many features build in will help you as your needs expand and change over time. This theme comes with a clean and professional design and plenty of build in possibilities to feature your products the cool way to new customers. 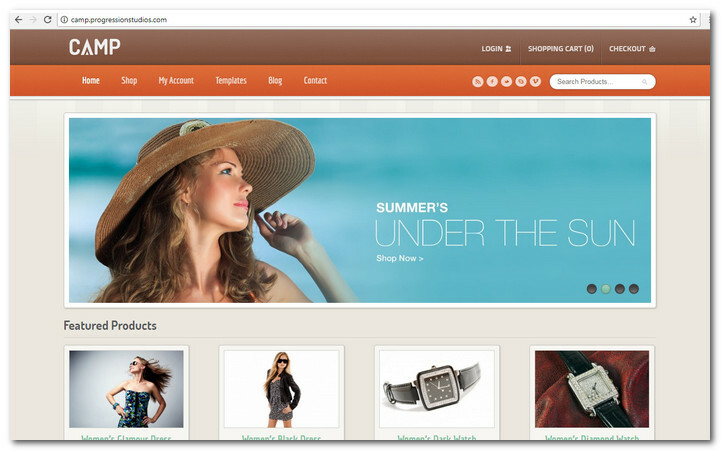 The Retailer theme is a WordPress ecommerce solution with all you need for starting an oline business. The layout of the theme is responsive, retina ready making mobile visitors potential customers. Retailer is build for WooCommerce 2.0+ and this means it offers all the features needed to run a professional online shop. You get 8 home page desgins and 15 page templates for setting up cool pages for contact, about us, our team etc. 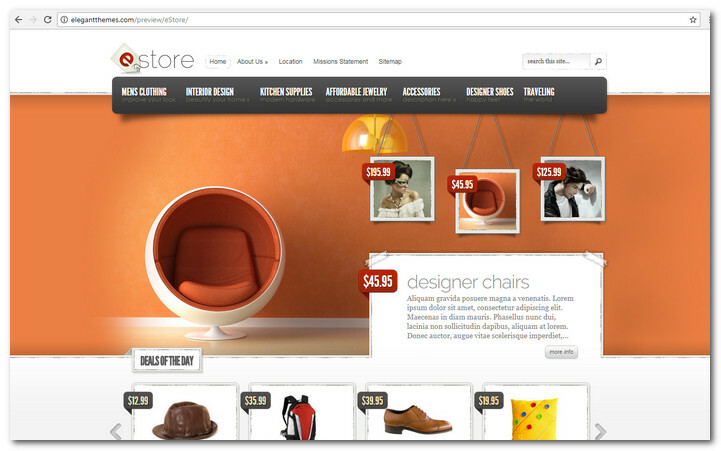 JustShop is a modern, vibrant colored theme that’s responsive, easy use and customizable. Its header area makes a great centerpiece for flagship products as well as other featured products whether monthly or seasonal ones. It also has a beautiful pricing table for service or information product plans. 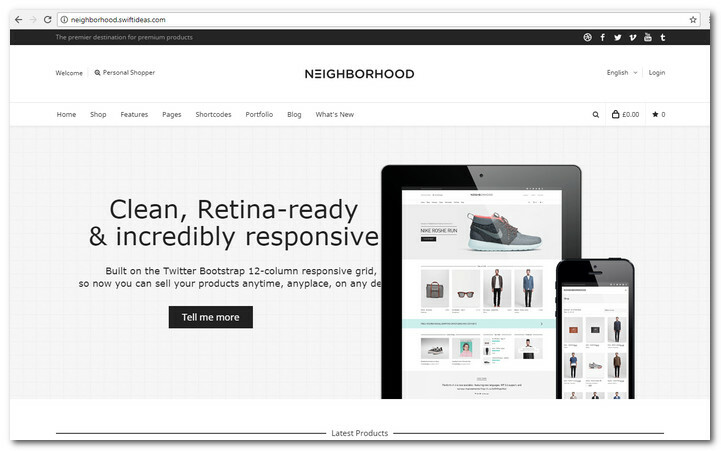 With Neighborhood you get a multi purpose theme with WooCommerce support. This means the theme have tons of features and can be used to build many different website styles to support you sales funnel. The design of this WordPress e-commerce theme is clean and minimalistic and it does a great job when it comes to showing off your products. The theme is fully responsive and makes it a pleasure for mobile shoppers to use your site. It is important when taking your shop online to make sure your site design and style match the customer profile. Some niches tend to work best with classic and minimal look and feel. MayaShop makes a good choise in this category and it is a unique WordPress theme that support both JigoShop and Woo Commerce plugins and this gives you optimal flexibility to set up a professional shop. This theme have many layout options and skins to help you adjust your design easily to meet your needs. One of the cool things is that you can create you own page layouts using widgets and shortcodes. You can also change the overall page layout to use either full width or boxed style. To show off good offers your can choose from 8 different sliders and there are many more features. Selling online requres you to stand out and gain trust. The initial impression visitors get is important and this is where Replete theme comes into the game. It is a responsive WordPress eCommerce website template with a clean and professional design. It is well suited for business websites with a e-commerce solution build in and looks great for retail and fashion. .
With this theme you get a lot of useful website building features and options. This means you can modify layout, styling, colors and fonts directly from within the backend. There are 13 predefined skins you can use but you can also create your own from your WordPress Admin Panel. With the dynamic template builder you can create your own unique page layouts and this really means that you get a solution that will help you set up a theme without diving into coding. Kallyas stands out with a very cool and modern design. It is a responsive WordPress theme built with the bootstrap framework and this means it have very robust implementation. The theme is very flexible and the page builder with 69 page elements makes it simple for you to build more or less any page layout without coding. There are 12 sliders types included and 3 portfolio style making it simple to show off your products. 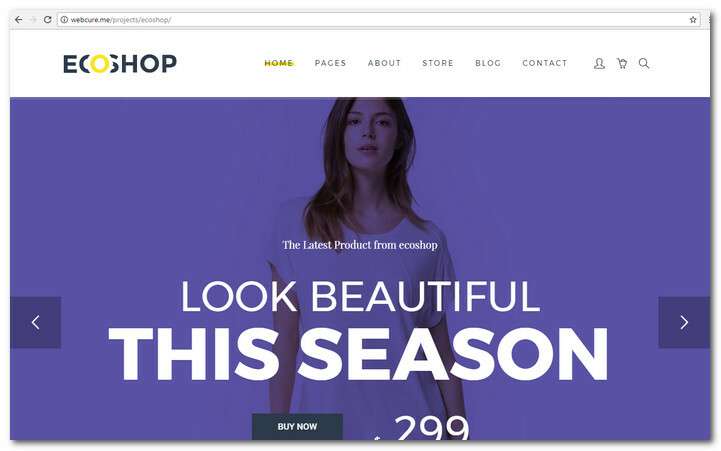 Cheope is a WordPress ecommerce solution with a unique focus on cool design features. The mega menu can be used for featuring offers, use grid or list view for your product pages, you can easily add for sale signs on product images, and use one of the 8 slider solutions for making a professional and dynamic presentation of you products. The theme makes use of the powerful WooCommerce plugin and takes WordPress ecommerce to the next level. 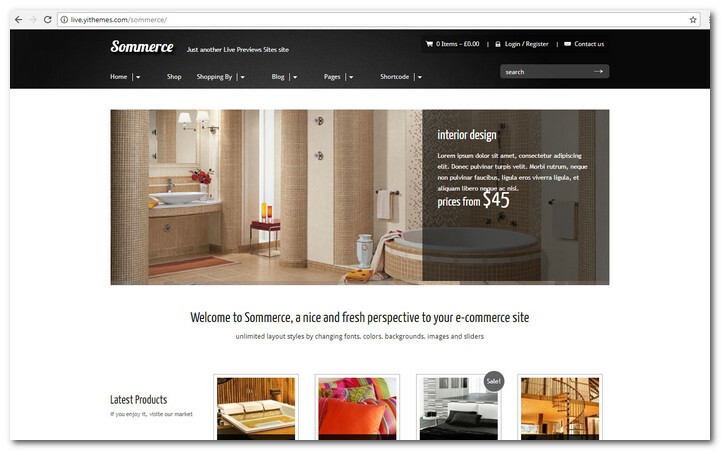 Sommerce is a proven and popular WordPress e-commerce theme with support for the powerful JigoShop plugin. The theme makes it possible to set up a professional WordPress powered shop in no time. it comes with unlimited layout options and unlimited skins, 6 sliders, 2 styles of navigation, a mega menu, shortcodes to insert products and a lot more. Iceberg is a WooCommerce theme for WordPress with a minimalistic design that gives optimal space for presenting your products. I is a HTML5 boilerplate implementation and it is fully responsive. 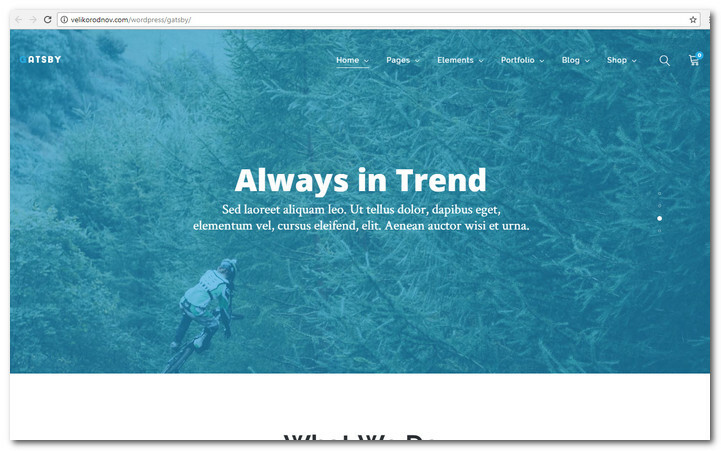 The theme offers a solution for quickly adjusting the colors, a wigetized home page and more. The Icaro Store theme is a WordPress eCommerce template with support for WooCommerce. The theme comes with a super minimal design that does a great job at product presentation. The deveoper put a great effort into making the responsive layout work well on mobile devices and especially iPads and iPhones look great. 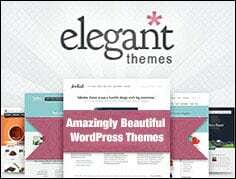 The theme offers tons of widget areas, color schemes, sliders, shop layouts etc. to help you quickly set up the perfect online shop. Camp is an e-commerce ready WordPress shop theme with a responsive layout that looks great on hand-held devices. This WordPress shop template support the popular WooCommerce plugin for providing shop features. In the theme features you will find a widgetized Homepage that makes it possible to add blog posts, portfolio items and products on the homepage without coding. 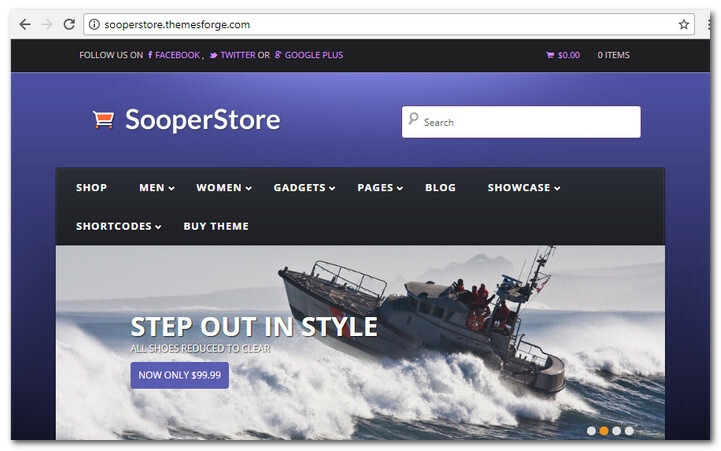 Sooperstore is another cool ecommerce template for building an online store using WordPress and WooCommerce. The layout is responsive and the shop therefore looks good even on small mobile devices. There are 11 widget zones to make it simple to layout the home page the way you like it. Further you get 5 color skins and cutoms post types, custom widgets and more. 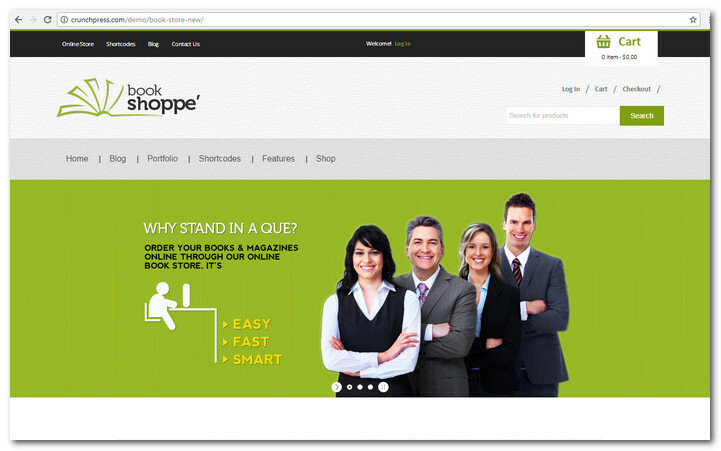 Book Store responsive ecommerce theme is a great template to use for your site. Its slider’s flip page action evokes a feeling of manually browsing through a page in a magazine. Its Social Share Feature enables easy sharing of content to Social Media sites and adding a viral element to your product posts. It also has an Online Store page integrated with Shopping art and Payment features for easy internet shopping at your fingertips. This is one of my favorite WordPress themes for WP e-commerce, Elegant themes has done it again and made a gorgeous and unique theme for WordPress. 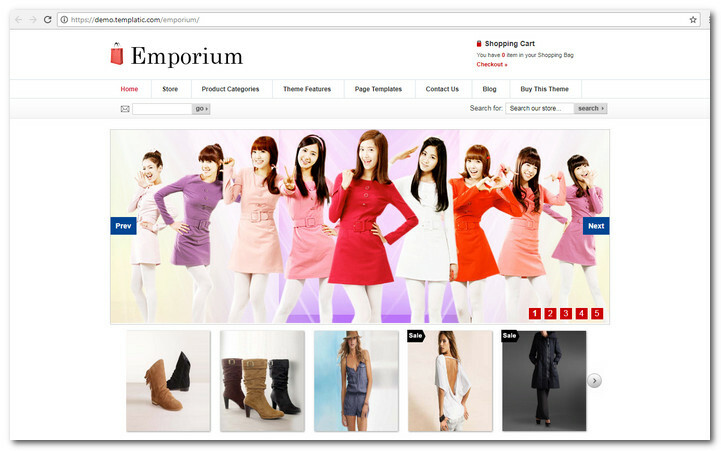 Theme provides a design for a clothes shop, but you can be used for other purposes also. These themes are great options for building a WordPress shop and start selling stuff online. They are all using a classic layout that will not adapt to mobile screens and this may sometimes be the right approach for a ecommerce website. Keep in mind though that most new websites today are implemented with responsive layouts to prepare for the mobile future. 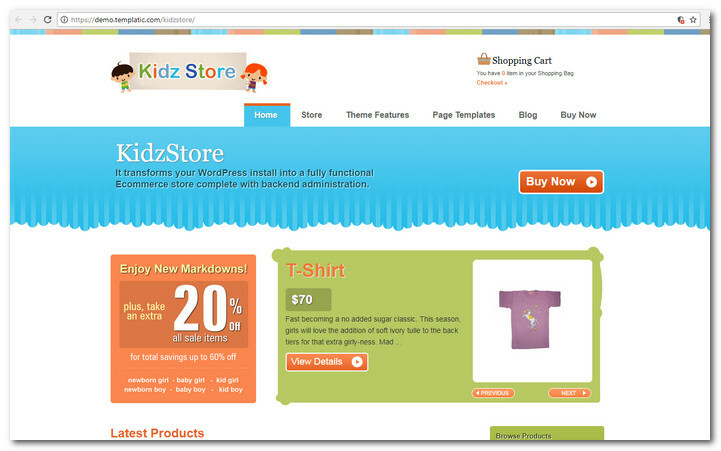 Kidz Store is another WordPress shop theme with a design aimed at selling kid related products. It is nicely illustrated and suitable for kids clothes or toys. Note that this theme use a built in commerce function and that it does not have support for one of the major and popular plugins. This is a minimalistic WordPress e-commerce theme from Templatic with both a built in commerce solution and support for WooCommerce. Lars is passionate about web design, web development, SEO, social media and loves to look into new technologies, techniques, tools etc. and to write articles for tripwire magazine readers. 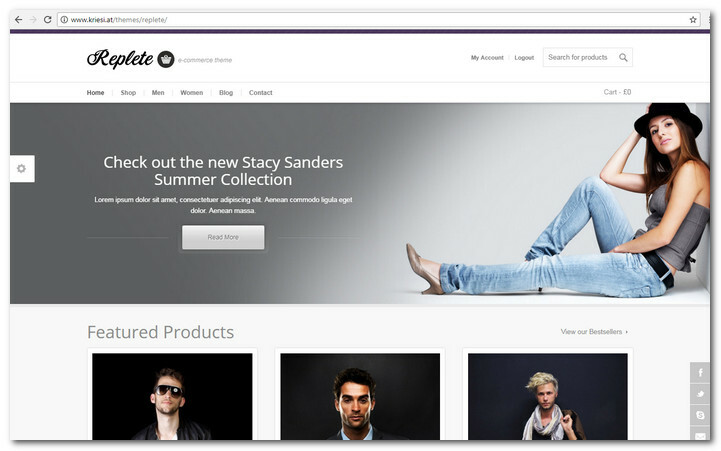 You can try one more WooCommerce WordPress theme called Kosmic. It is a multipurpose WP theme suitable for almost all types of websites. It is very simple, clean and professional theme that comes with an extensive theme options panel to customize your site easily as per your requirements. 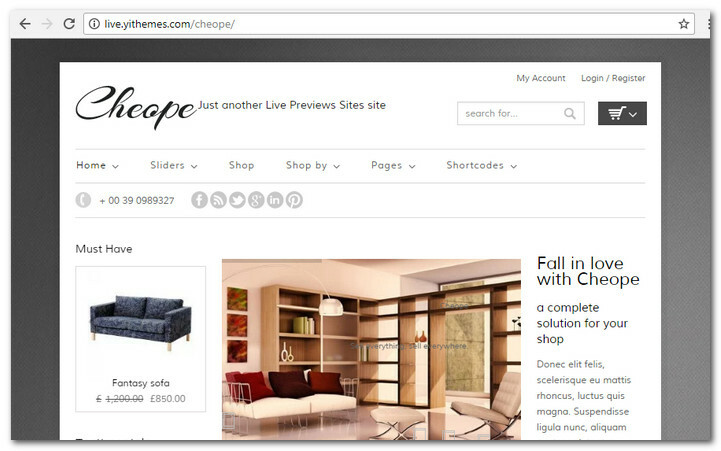 Thanks for Sharing excellent Information about “Best WordPress eCommerce Themes”. Really, I love your article. I will definitely share your article on my social networks. Again thank you! ? Good quality themes are important and this list have multiple. You’ve showcased some beautiful examples here. Keep up the good work. wow!!! 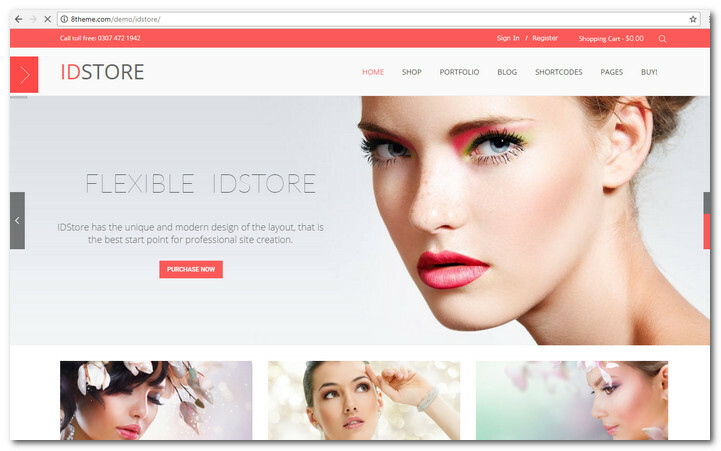 Excellent wordpress e-commerce Themes. Great Post. 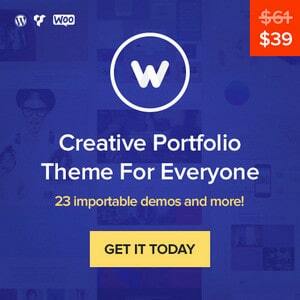 Thanks for Sharing this awesome collection of WP themes. This web site really haas all of the information I needed about thus subject aand didn’t know who too ask. Nice collection of themes you have shared with your users. I really like such kind of themes and will try to design these themes using TemplateToaster. Using this web designing software users may design any kind of themes for all the major CMSs. It is easy to use and understand. It generates themes in just a few hours. I have looked through your list of themes and some of them are very likeable indeed. But my problem is that I am looking for a theme that is related to home improvements – specifically fitted kitchens and bedrooms – our website needs updating and we are looking for a theme that would encompass the kitchen idea. A lot of themes seem to be fashion related. Also our products use a lot of variation on sizes e.g. kitchen cabinet and kitchen doors. All suggestions greatly appreciated. What exactly do you want your site to do and what kind of content will be on it? Think about why people would come to your site – what are they going to be looking for that leads them there and what are they going to get out of their visit. Thanks for sharing such a great e commerce sites. hi! Do you know any theme for selling virtual products that works with wp e-commerce or woocommerce plugins? Responsive and works with WooCommerce. Just wanted to say thanks for adding Kallyas to this collection. We have added a lot of new features to this theme since it’s release. I was browsing for a ecommerce website that would not only sell products, but would also have a subscription service available for paid subscribers – members. Any advice on what plug-ins, themes are out there about something like this? Hi, I would like to let other website owners know that we have built a Plugin to Export products from theJewelryShop theme by Sarah Neuber and then Import them into WooCommerce. The author has abandoned this theme and many users are in need of transferring there information into a supported solution. Go to chasela.info for the plugin and services. thanks very much! beetzy. 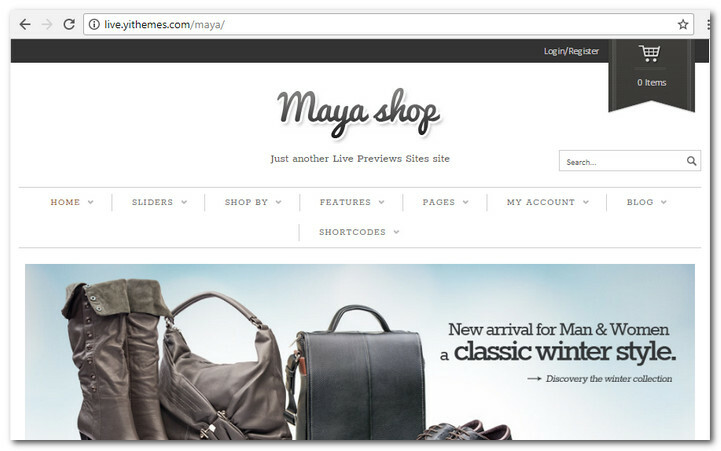 Hi, I will be purchasing the mayashop theme. Just wanted to clarify that other than the USD 60 that i will paying for the theme are there any other costs for the shopping cart plugins, or other anything that i have missed out? i would be using paypal, can I start selling as soon as the products ( 250-300 items) are uploaded. Thanks for sharing your fav theme. No the supported plugins such as WooCommerce is free. If you only use Paypal you will not need a credit card handling agreement that sometimes can be costly. Sure this is a good resume of nice eCommerce WordPress themes I have been looking to implement our new store. Of course this made my research much easier. I am in search of Responsive business theme. Which can supports E commerce (plan subscription and checkout) , Blogs, Forums and login with FB, google etc. wonderful list of ecommerce themes, you really did your home work very well by researching to get all this awesome themes. Thanks Collins, appreciate your feedback! I cannot believe there is now 60 and in a recommended list. 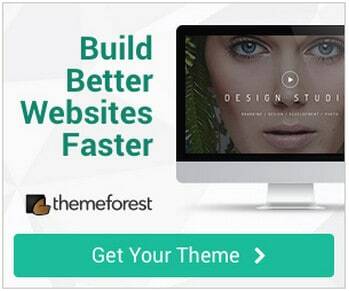 I was more so looking for a themes like Bloggit responsive on themeforest. Thanks, Lars, for this article. Would you know of any WordPress themes for online magazines? My online magazine (rawfoodsnewsmagazine.com) is defunct because its platform (PostNuke) is hopelessly out of date, and I’m looking to move its 200+ pages of articles to another platform. I’m considering WordPress and also possible Weebly. Would appreciate suggestions. I am looking for a e-commerce theme with the home page that does not have any Featured Products or Blogs. I just want the home page to show my company logo. Once people click on it, they will be able to buy products on the subsequent pages. Can you please let me know if such a theme exists? I’ve seen so many themes with beautiful designs, but they all have the home pages with Featured Products or other unwanted features. I am really tired of them, and tired of not finding the one I want. Please help. I’m looking to start an online shop. I like wordpress but am concerned about the security of the website, anyone wants to comment on this. Was looking at wix and moonfruit but they seem restrictive and saw some bad reviews too. Any other alternatives. Used set templates before but still need something that is easy as I am not exactly savvy on website building..Are they easy to use? Also, I currently use one with paypal shop as I currently use paypal for direct/offline bespoke orders – is this still possible using these templates? Today the demand of e commerce websites are increasing and everyone wants to be on the web for their products and services. You have given some very good e commerce web temples. I like most of them specially the Bazar Shop, MayaShop, Proffet, Commerce, Boutique. There is also a point in my mind that, now days customers are so trendy that they want everything related to their idea instead of the readymade templates. This is because It is quite difficult to edit a predefined templet. Do you know of any themes that might mimic the functionality of a site like http://www.zappos.com, where you can select variables in multiple categories (e.g. men’s > shoes > size:10 > color: brown)? It doesn’t have to be eCommerce, but my site needs to have a large library of easily-searchable items (we manufacture / distribute high-quality drapery fabrics). Any assistance would be GREATLY appreciated, I have a web developer trying to gouge me with a HUGE price for this type of functionality. Thanks! Just wanted to post a fair warning to all who are interested in the mearishop theme. It has more bugs than than a NYC sewer and even less support. If you don’t know code, you will be wasting alot of time trying to get the damn thing to work while the publisher promises help. Also every time there is an update to woocommerce or WP, the damn thing breaks. Stay away… just not worth it. 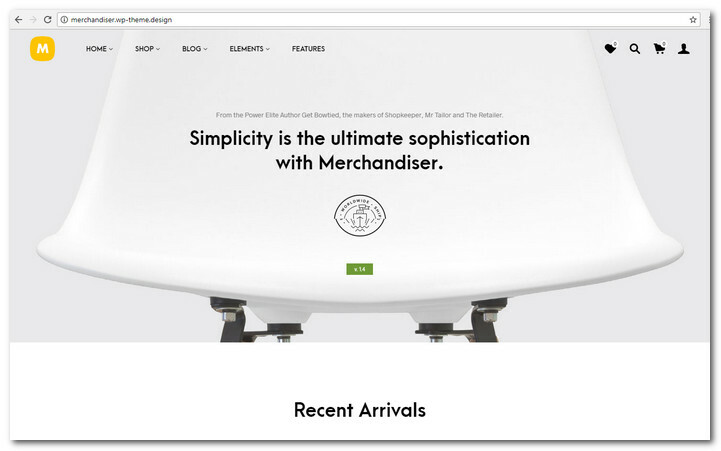 I have checked out several compilations of online store templates and this one has the best options so far. Thanks for the list, there are plenty to choose from. I’m in the process of setting up an ecommerce site for my handcrafted jewellery and will be using WooCommerce. Woow. Great themes. Thank You. Some of these designs look pretty good! For webshops I prefer Magento.